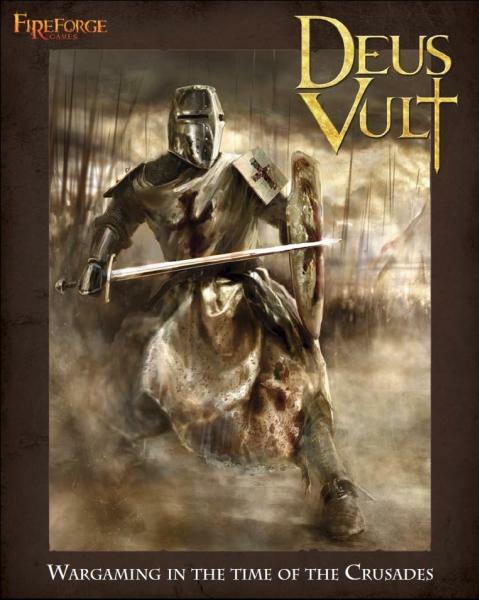 Deus Vult is a fun tabletop wargame in which players can recreate battles of the medieval age at the time of the crusades, using armies of model soldiers. The book contains all the rules and information players will need to field and fight exciting battles on their gaming tables. Take command of armies of medieval soldiers from Europe or the Middle East and bring them to battle for the glory of God. Although designed with 28mm wargaming in mind, Deus Vult can be played with any other available miniatures scale: 6mm, 10mm, 15mm and re-basing your miniatures is not necessary. Written and developed by well known game designer Alessio Cavatore, the rules recreate all the main historical aspects of medieval warfare in an easy but detailed "user friendly" way that let players concentrate on playing their tactics on the battlefield rather than on "game mechanisms". Characterful generals, chain of command, innovative player's turn sequence, dynamic combat system are only some of the aspects that will make players gaming experience a great one.